1. For one, it IS Pumpkin Spice Season. 3. Pumpkin Spice Lattes are great, but how about something new? 4. They're the perfect treat for Pumpkin & Cinnamon lovers! 5. This flavor is available for a limited time only, so don't be too late! 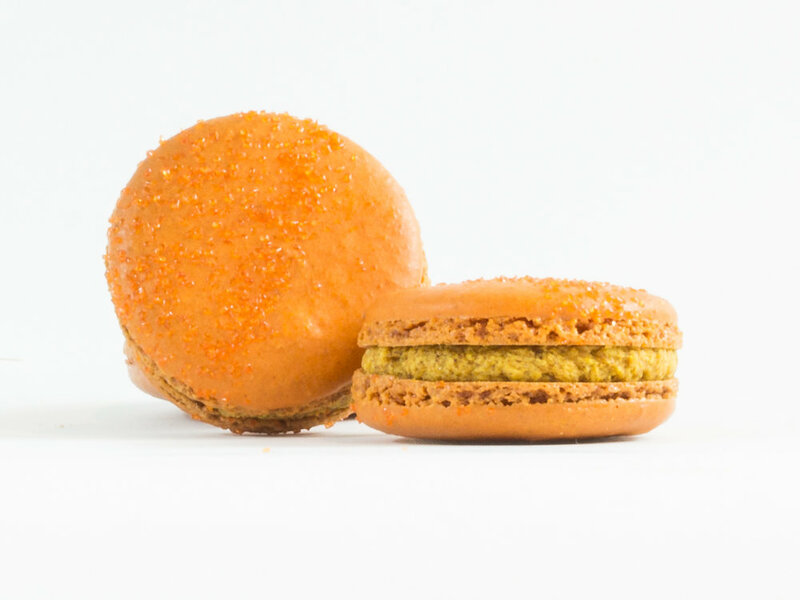 We sincerely invite you to try out this Pumpkin Cinnamon Macaron for yourself! Our first batch ran out in 4 days, so be sure to get some of your own before they're all gone! We've got them in-store, from now until Halloween. So grab yourself, a friend, or a loved one some Pumpkin Cinnamon Macarons today!